We are proud to be the top local dentist offering CEREC single-visit tooth restoration. CEREC Technology: What Is That? CEREC is a technology for restoring damaged teeth. This type of restoration can be completed in a single visit to the dentist’s office. The tooth restoration will help your teeth feel stronger and look beautiful. The restoration is metal-free, and the high-grade ceramic material is compatible with the natural tissue found in your mouth. During your appointment, you and Dr. Harmon will discuss the details of the procedure, and he will answer any questions you might have. 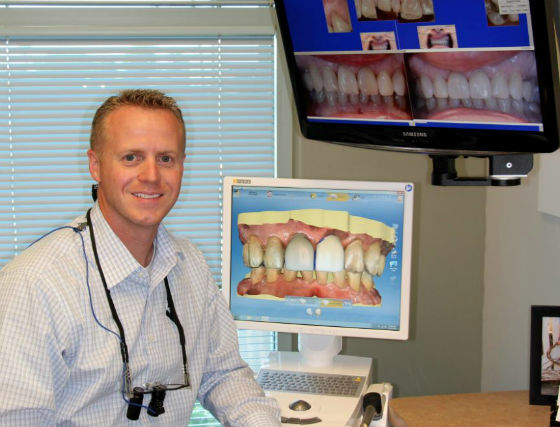 Once the tooth is prepared, Dr Harmon will create a three dimensional image of your tooth using a professional imaging camera. Using CEREC's custom software, the doctor will personally design the restoration based upon the required functions of your tooth. CEREC will then use diamond burs to design a new tooth from a piece of ceramic. After completion, Dr. Harmon will use his state-of-the-art technology to bond the ceramic restoration to your tooth..
Why Should I Choose CEREC? 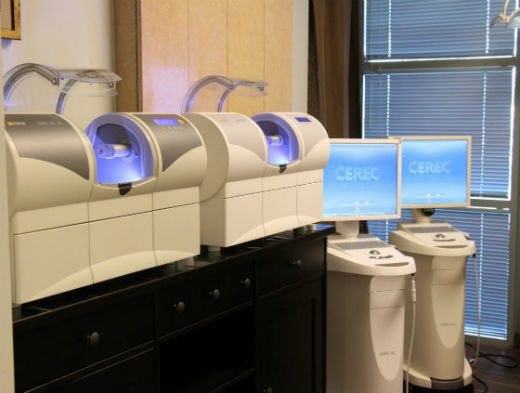 Time: CEREC crowns are made and placed the same day as your visit to the office. This will minimize your time spent in the dentist’s office and away from your job and family. Comfort: Temporary crowns might be uncomfortable. With CEREC, temporary crowns are not used. Aesthetics: CEREC uses only strong, tooth-colored ceramic materials while helping to restore your teeth. Strength: Milled ceramic is stronger than the traditional method of layering and pressing, so your smile will stay beautiful. Fillings: CEREC material and technology is also available to be used to create stronger, more durable fillings.